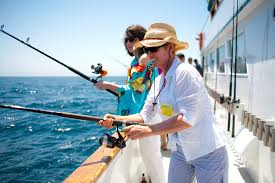 Going fishing in some locations may lead to you spending hours and hours without catching a single fish. There are a few tips to catching fish that work occasionally but don’t really do much to speed up the process. The key to catching fish guaranteed for the casual fisher is to go to the right location. Certain water locations hold greater numbers of live fish swimming around ready to be caught. The absolute best way to catch a fish is to go to one of these locations with an amazing guide.